Soil Requirement: Plants in this collection do well under regular garden conditions (well-drained, medium dry soil). English cottage gardens date to medieval times, when working-class people living on small plots of land developed them for growing food to eat and herbs that were used as medicine. Some had beehives and even livestock. The gardens were practical, but little was done to make them look attractive. If cottage gardens had any flowers, they were usually more practical varieties like violets. Cottage dwellers spread violets on their floors, because their strong scent helped keep rats and mice away. In the late 19th century, in response to the rise of formally designed and meticulously maintained estate gardens in Victorian-era England, there was a movement to beautify cottage gardens in a distinctly different way. They were created using a more free-form design and densely planted with a mix of ornamental and edible plants. Many were enclosed and had entry trellises covered with vines and fragrant, climbing roses. A modern cottage garden often contains many of these elements while reflecting more of the gardener's personality or featuring plants that are native to the region. Create the look and feel of an authentic English cottage garden right in your own backyard! We have selected six typical cottage garden perennials that are colourful and easily grown pollinators. 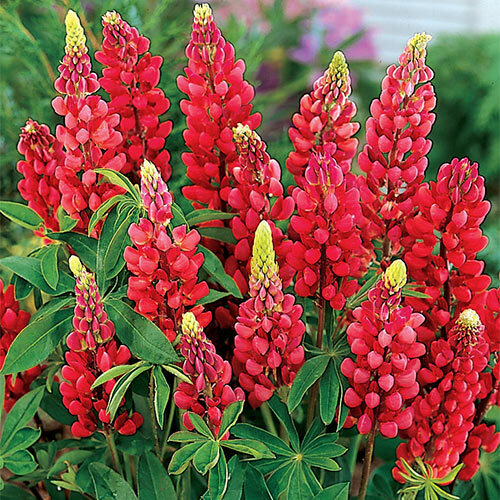 My Castle Lupine is the first to bloom in mid to late spring, accompanied by Johnson's Blue Geranium. Then Alaska Shasta Daisy and Orange Glory Flower take the lead during the hot summer months. 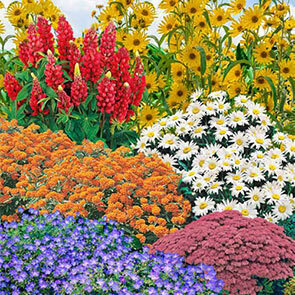 In late summer and well into the fall, you can enjoy Maximillian Sunflower and Autumn Joy Sedum. 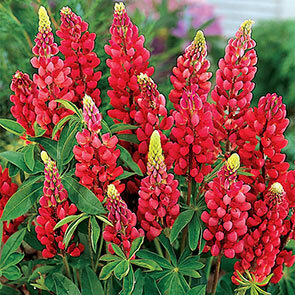 My Castle Lupine: These tall, brick-red flower spikes are an unforgettable sight in the border. 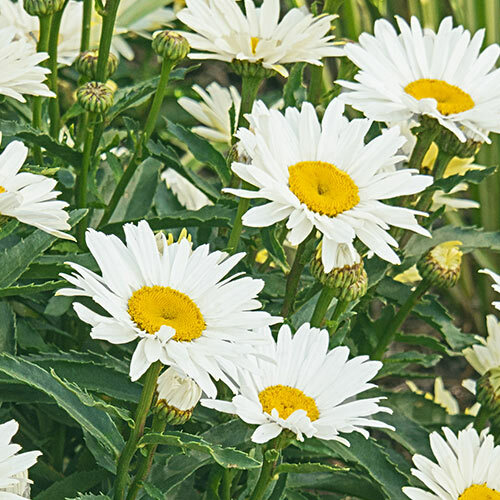 Height: 32–40"
Alaska Shasta Daisy: A well-behaved and gorgeous hybrid with several traditional daisy blooms on each stalk. 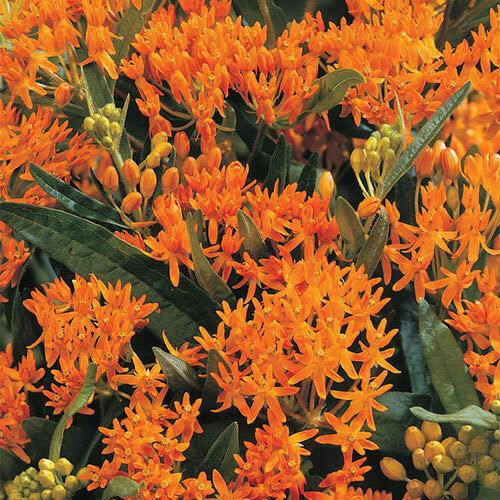 Height: 24–36"
Orange Glory: Bright orange flower heads add bold beauty to the garden and to cut-flower displays. 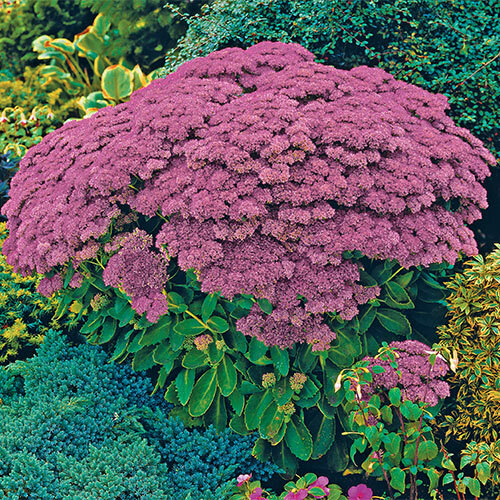 Height: 18–24"
Autumn Joy Sedum: Delivers full mounds of deep rose-pink flowers that set the beds and borders ablaze with colour and beauty. 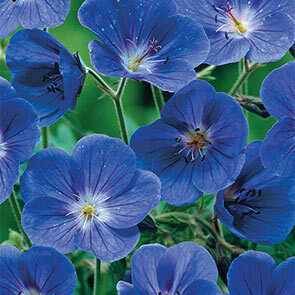 Height: 18–22"
Johnson's Blue Geranium: A gardener's favourite with clear periwinkle-blue flowers that reach up to 2" across. Height: 16–20"
Planting Instructions Loosen soil well before planting. 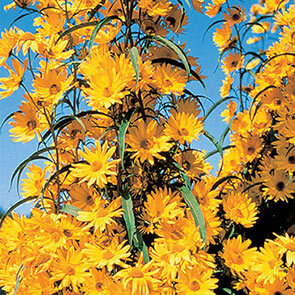 Plant each perennial with the eyes just below the soil. Provide a mulch the first winter in areas with severe frost. 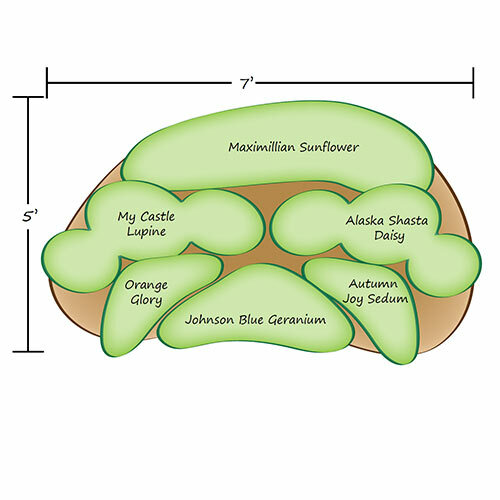 Soil Requirements Plants in this collection do well under regular garden conditions (well-drained, medium dry soil). Pruning Remove spent flower spikes if desired.